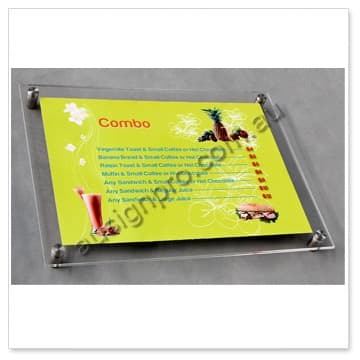 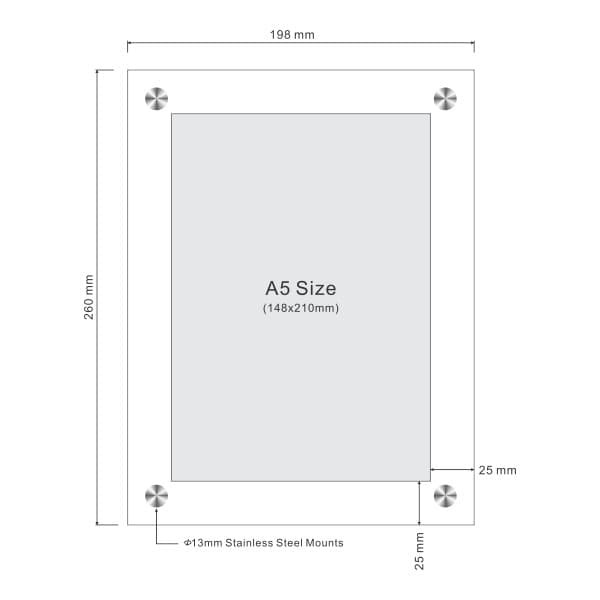 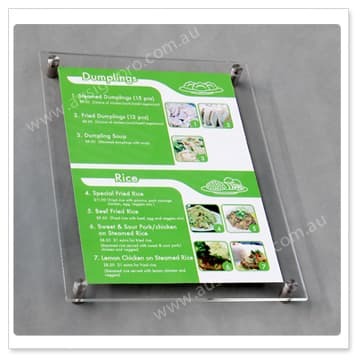 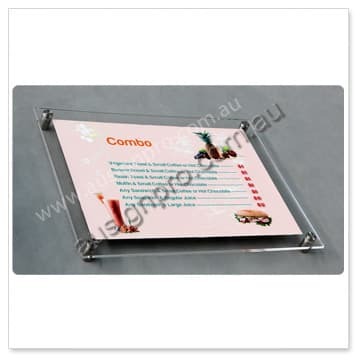 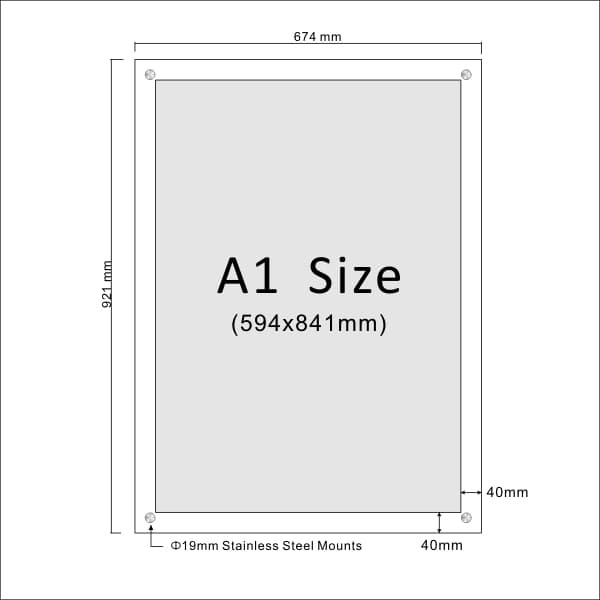 These Acrylic Sandwich Poster Kits create a stunning poster display or photographic frame. 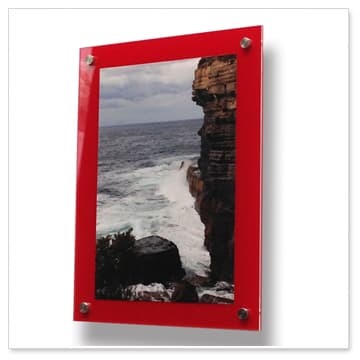 Our wall mounted acrylic sandwich photo frames are a stylish, contemporary choice for modern interiors. 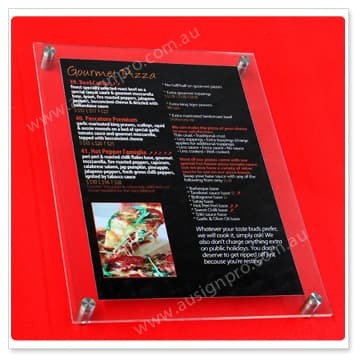 Clear acrylic frames create a unique ‘floating’ concept 25mm from the wall surface. 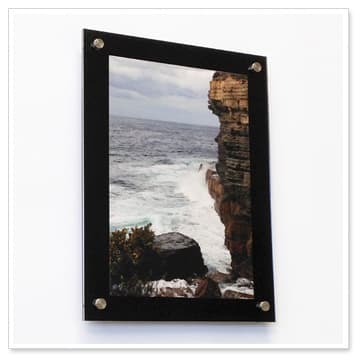 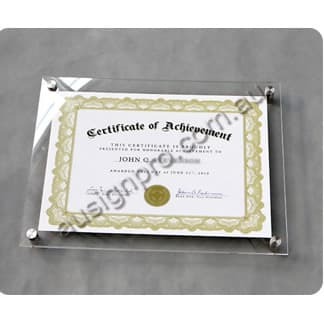 These very modern clear frames are also very popular for art display as they do not distract the eye from the artwork. 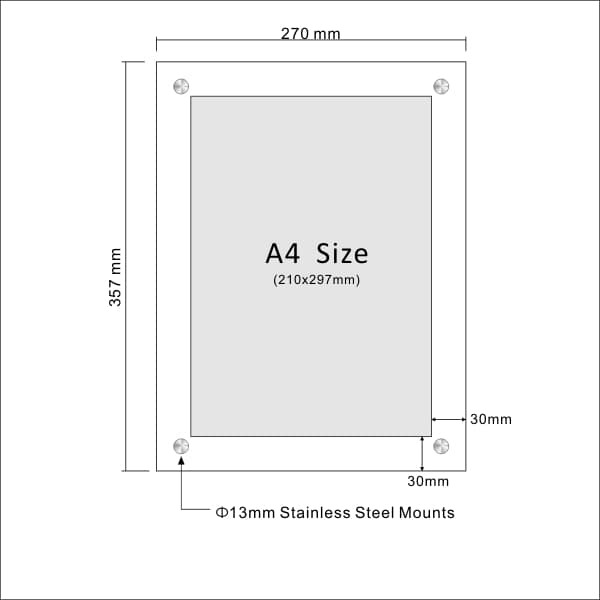 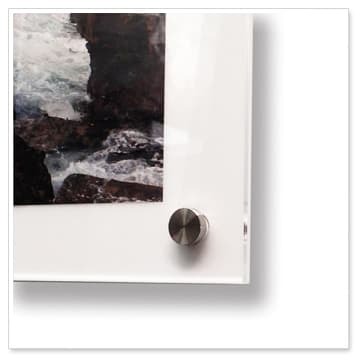 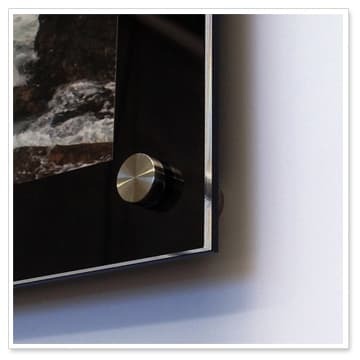 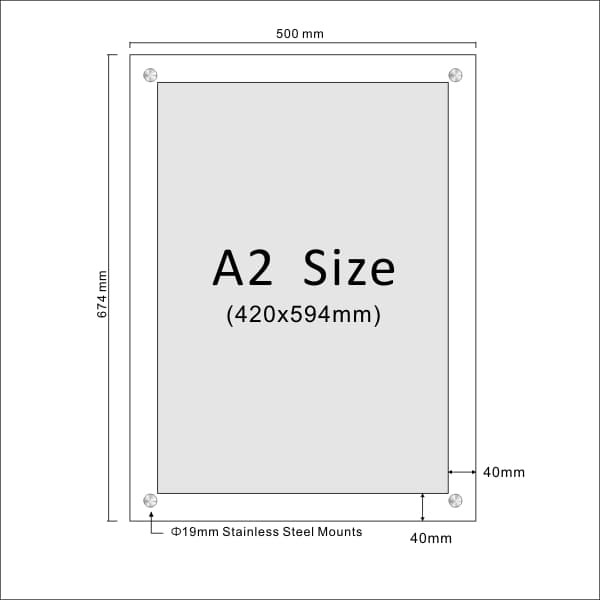 The stainless steel wall mounts hold a sandwich of two acrylic panels together to trap a poster, graphic or photo in between, easy to update your print or photo instantly. 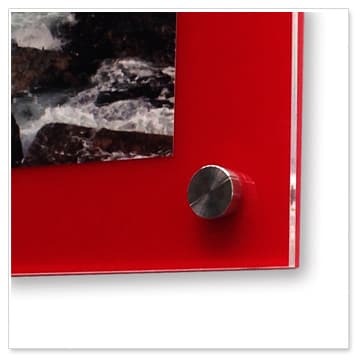 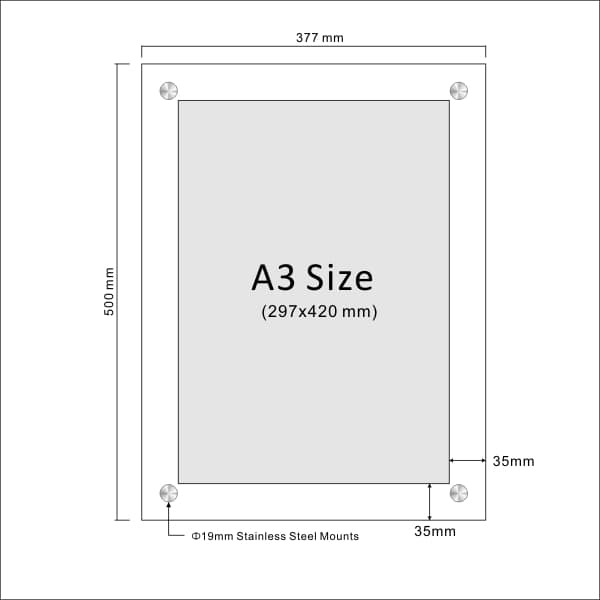 The image is sandwiched between two pieces of 3mm /4.5mm acrylic panels. 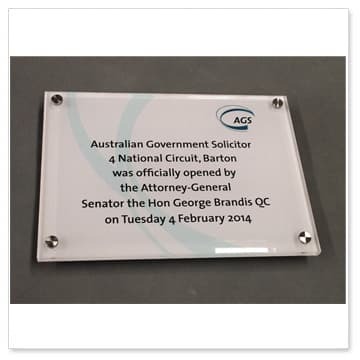 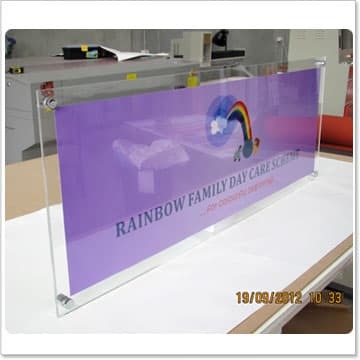 These acrylic panels are laser cut from cast acrylic sheet, which gives great optical clarity. 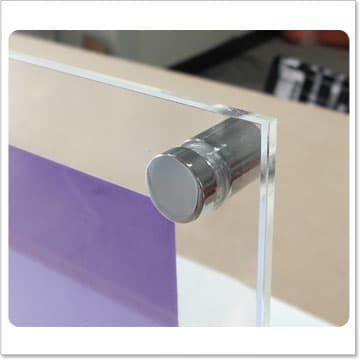 All edges are polished. 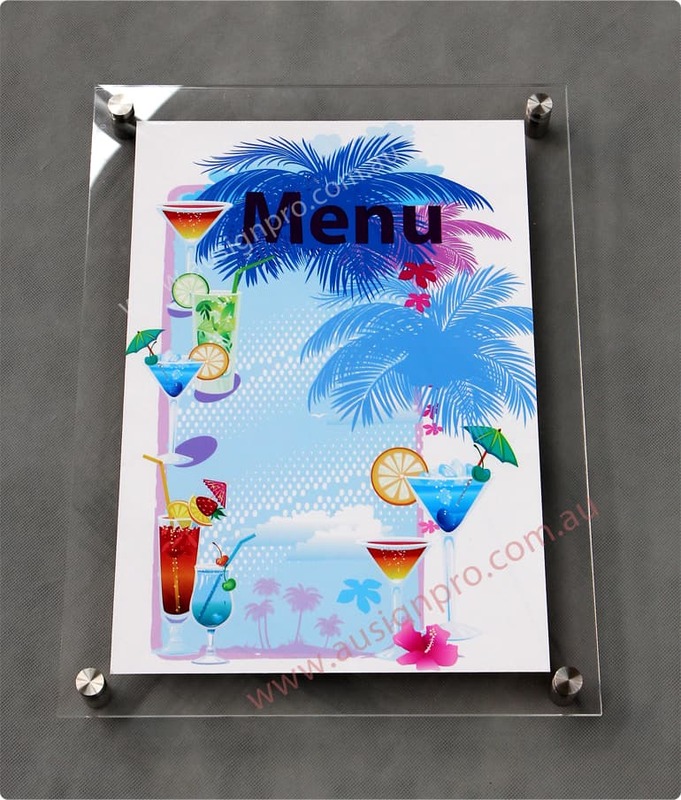 Easily change your menu graphics as often as you like.